﻿ Baan Vanida Garden Resort, Phuket | FROM $16 - SAVE ON AGODA! 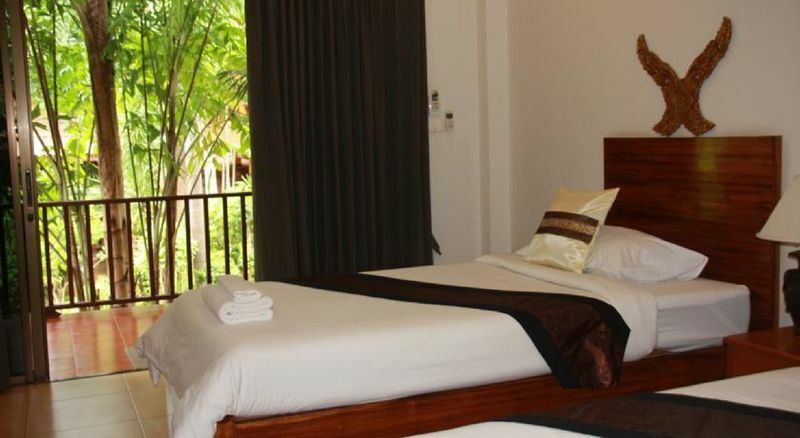 Have a question for Baan Vanida Garden Resort? "Nice, clean rooms and quiet hotel." 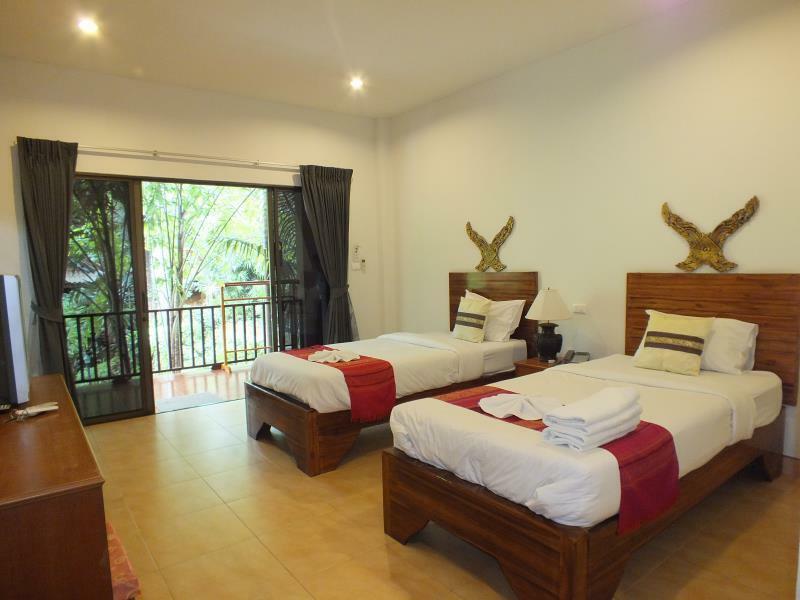 "Loved this place for the charm of bungalows in a garden sett..."
Book your visit to the Baan Vanida Garden Resort in Phuket for a memorable holiday. This resort is near Commemoration of Princess Mothers Stadium, Dino Park Mini Golf, M.G.Collection, Karon Beach, and Kata Beach. With a smoking area and safety deposit boxes, it provides several convenient features to make your stay more comfortable. It offers a bar, restaurants on-site, and room service, so there is an assortment of dining and snacking choices. 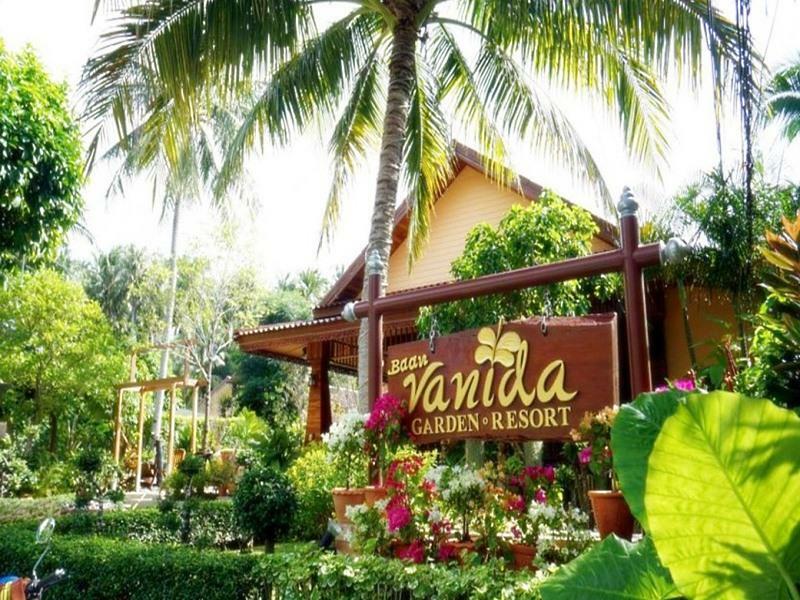 Offering guided tours, the Baan Vanida Garden Resort is a great spot to stay to learn about your surroundings and see everything you can while you're here. It has a selection of facilities for you to make use of throughout your stay, such as a garden, a spa, and an outdoor swimming pool. 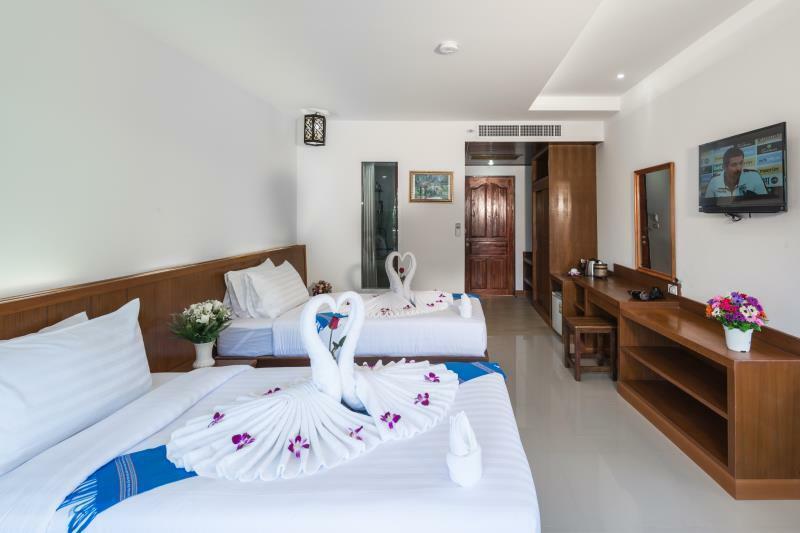 All of the rooms come with air conditioning, an in-room safe box, satellite or cable channels, and a mirror, as well as a seating area, a closet, a hair dryer, and a refrigerator. There's free Wi-Fi in all rooms, as well as Wi-Fi in common areas, so guests can connect with their friends and family back home without splashing out on international charges. From a concierge to dry cleaning services, the Baan Vanida Garden Resort has various useful services for you to utilize. This resort is pet-friendly, so you won't have to worry about finding a pet sitter while you're away. It features an around-the-clock front desk, which ensures that there is always someone on call to answer any questions that you have. 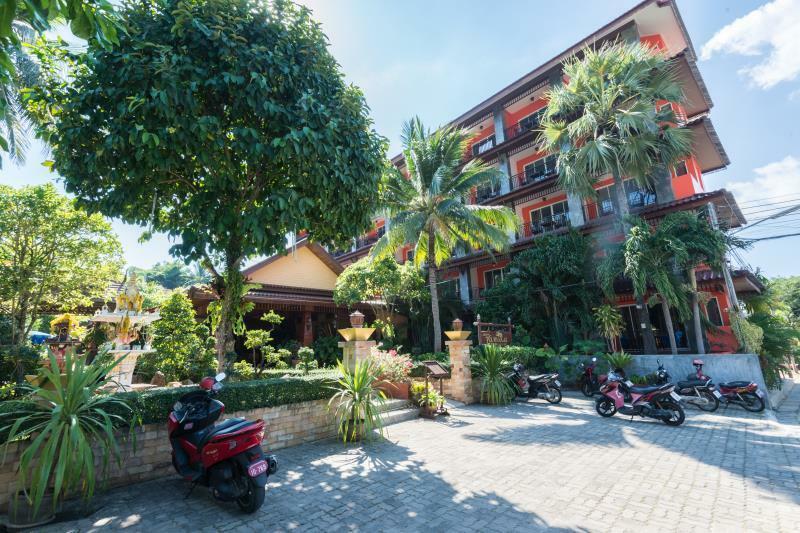 The Baan Vanida Garden Resort provides a range of transportation options, such as airport transfers and car rentals. Phuket Bus Terminal 2 is 14.3 km away. The nearest airports are Phuket International Airport (HKT) and Krabi International Airport (KBV), which are 30.4 km and 80.5 km away. Check-in is offered from 02:00 PM and check-out is until 12:00 AM. "I start with the positive things: nice garden, pool area and..."
Our stay at this hotel was great, it is a beautiful hotel with very clean and large rooms. 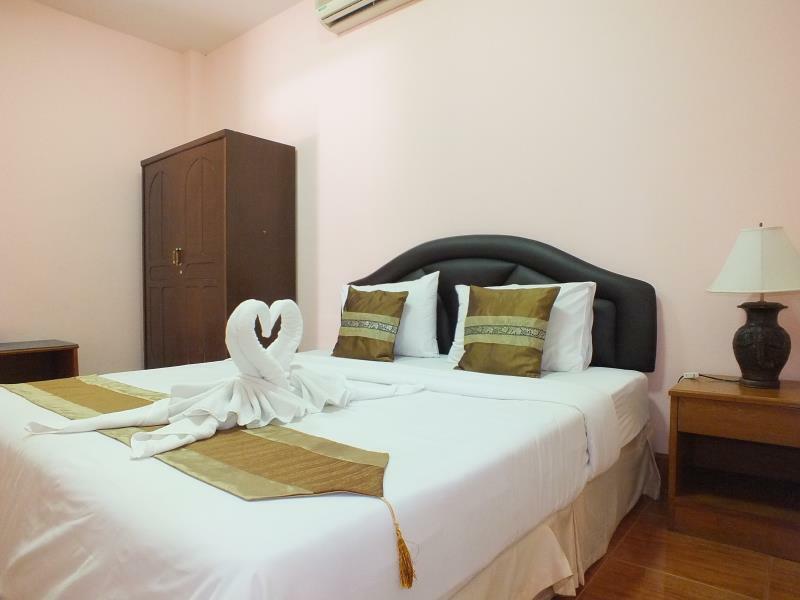 The amenities provided in the rooms were superb especially for a Southeast Asia hotel. The pool area is very nice, the restaurant was lovely, and the staff was very helpful. The location is okay in my opinion, it is a bit far from any other food or convenience stores (at least a 10 minute walk) however if you are looking to stay at a quiet place then this is definitely a good choice! We stayed her for 5 nights and really liked the place. We had a Deluxe room which was very large, separate bedroom and living space, bathroom and, toilet as well as outside seating area. The room itself was very comfortable, clean and quite. The gardens are really well kept and very nice. The swimming pool is very clean and a good size. Breakfast was very good and the staff are most helpful and polite, this is a really good place and excellent value, we will return again. The location is about 10mins walk from them beach but easy to get to. I have been travelling around on family holidays in Asia for over 10 years and this is one of the best places i have stayed. Staff were very helpfull and nothing was to much trouble for them, rooms clean, good breakfast and other meals, a beautiful quite setting. Swimming pool was a good size and very clean with enough sunbeds for all. Lush and beautiful garden oasis. Clean and friendly place. Nice little pool. Good service. well the place itself is as what you pay for, nth fancy adequate for the price. but unfortunately for me, as i was travelling solo after my first night there i went for a walk came back only to realize money missing from my wallet. i quickly raised this issue with the ppl@ the reception, but they didnt do anything about it, merely brushed it off told me nobody came into my room, and mind you these is despite having CCTv's all over the place. they were smart to steal just some money not all of it, thinking i would not realise. no apology was given to me, nor any compensation for my loss. Despicable!!!!. wanted to save money staying here but with my loss of money i could have stayed in the hilton or ibis phuket at least. i will never come to these sort of places again. so if you do go there keep your money safe as the thieves are smart they work in a team !!! Beautiful place to stay. I initially booked for a few days & when I extended my stay to 2 weeks because it was so nice there, I was upgraded. Great villas & lovely pool & gardens. Very clean & well maintained. Breakfast was fine, limited choice but certainly adequate. Some staff were friendly & some were not. Location very central to that end of Karon with bars, restaurants, great street food, banks & 7/11 stores very close. Local bus & taxis no problem. Beach a 10 minute walk. I will definitely stay there again at off season prices, very reasonable. Thanks Bann Vanida for a lovely place to stay. We stayed in the new wing of the hotel which is brand new, large room, big shower, comfy bed and balcony. Breakfast was included in our room rate and it was very good. Staff were lovely. Pool area is really nice just a couple of degrees too warm. Location is good, out of paying but only a short scooter ride, maybe 15 min. 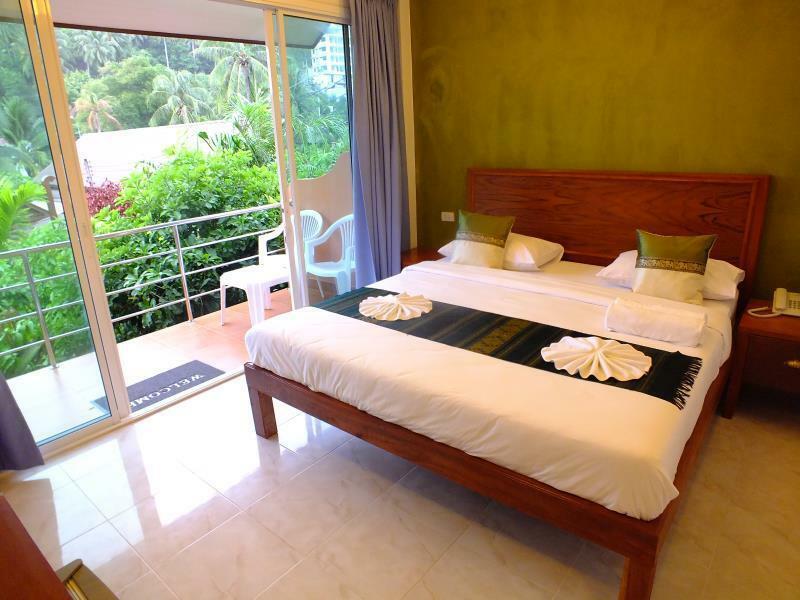 Karon beach is very close and only a short stroll to eateries and shops. If we came back to Phuket we will stay again. Stayed in a lovely room on the 5th floor. The staff are full of smiles. The rooms are spotlessly clean. The breakfast is plentiful. Ate in the restaurant one eve and it was good. The pool is a decent size. Highly recommend this hotel. Very pleasand and welcome. The staff are very friendly and trained. The breakfast was very good. The room was clean and well-sized. The garden is worth a close look as it is well maintained and rich with different plants. The pool is pleasantly located. I booked Superior room facing the pool but they changed my room to 111 standard room and replaced 2 breakfasts for us. Comfortable bed. Big room. Balcony facing to no one, very good direction. Environment very good. Quiet. Relax. It's located behind the main road of Karon. No issues about that if you have a bike to stroll around Phuket. Very good breakfast. Very good service. Very nice environment. Very pleasant pool open up to you until 10pm. Family Mart and 7-11 just 2-3 minutes walk (bike only takes 30seconds to reach). Buy a box of mosquito coil so that you can enjoy sitting out at the balcony without mosquitoes kissing and annoying your beautiful time at the surrounding. Overall. We are satisfied with Baan Vanida. To improve: Install more lights at the surrounding to make the place and garden more lively and more romantic. Install fan at the balcony. Install cool fan at the restaurant. That's going to be a perfect 3 stars resort. Thank you Baan Vanida! The staff were very welcoming and went out of their way to help us. We loved it so much, we stayed a few more nights. The breakfast was great value. It was only a 5 minute walk to the beach and at the better end, less people on the beach than the North end. Such a great little hotel..so clean & lovely tidy grounds.. Staff fantastic, couldn't do enough for us. Manager rushed out to help is with our luggage.would recommend this hotel to any one.. Great little hotel. Nice garden, and friendly owner.. Loved this place for the charm of bungalows in a garden setting. Very relaxing and comfortable. Highly recommended. 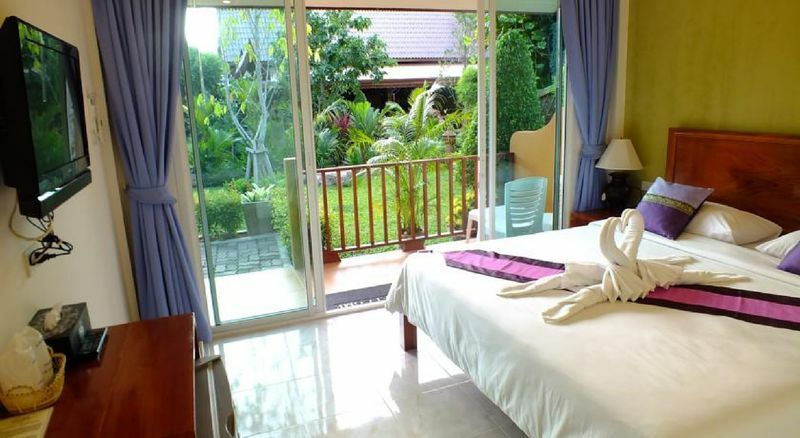 Great resort off the main road, good room, spacious and clean, great pool and excellent service. Can rent motor scooters nearby and also laundry and minimart nearby. Great friendly staff. I start with the positive things: nice garden, pool area and good location. Apart from the nice green garden, everything else is average or below. What I did not like: ants (a lot) in the room, slow internet all around the hotel, demotivated staff, poor breakfast. This hotel could upgrade its services with minimum efforts, but it seems to me they are not interested to do so.